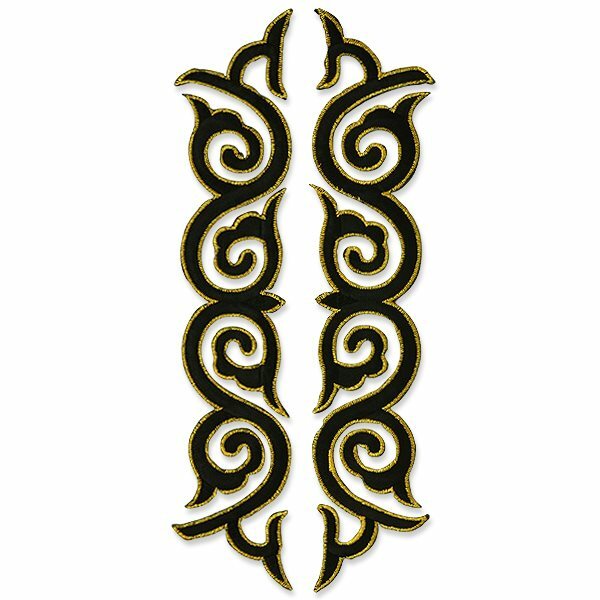 These lovely mirrored pair appliques are a fantastic choice for dance costumes. You can create many unique design patterns by laying several pairs in different positions. Our designers love the versatility of our mirror pair appliques. These appliques can be used as the focal point of a costume design or to trim out and edge any pattern.